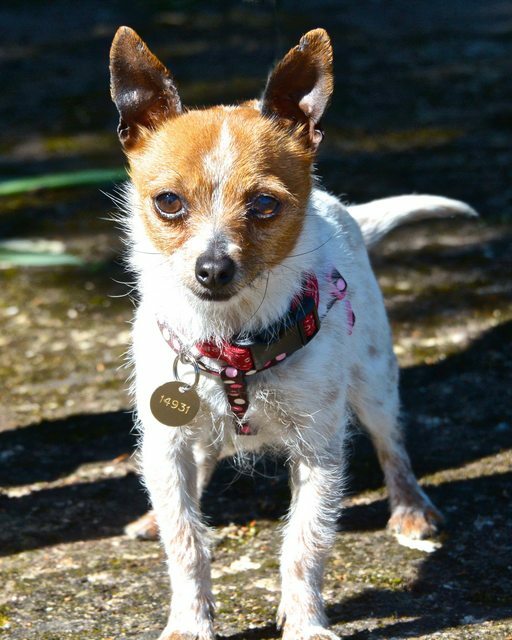 Sleeping Beauty is a 3 year old female Jack Russell Terrier cross Chihuahua. A delicate and adorable young lady awaiting true loves kiss. Sociable and fun to be around I am a real bundle of joy who loves everyone, give me a knee and I’m on it! ‘You’ll love me at once, the way you did once upon a dream’. I’m a busy bee and love exploring so adventures out in the wood would be perfect. I prefer to keep my paws on the ground, I may be small but I’m agile so don’t worry I’ll get myself over that branch! I would sing to my new owner ‘I walked with you once upon a dream’. I’m still seeking my human Prince Phillip and would like a family of my own with children ranging around 12 years and up and to be the only pet.